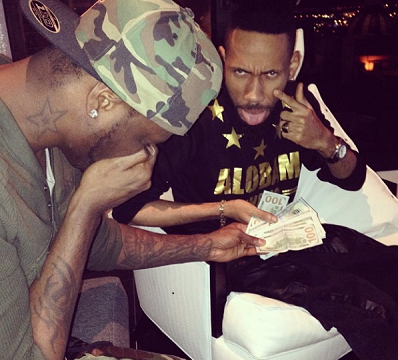 Peter okoye who is a huge fan of Chelsea Fc, this last Thursday Told his fans that he has paid $5000 to rapper Phyno after ther he loose a bet they made on the Footbal Match against Chelsea vs Atletico Madrid. Peter bet that Chelsea will win that match and unfortunately his team was defeated so he has to pay up $5000 bet. Ok. Is there any one who wants to bet with me today... Chelsea is going to win against Norwich..?